Creative people do not create in a vacuum. We are all affected by the daily tug and pull of a myriad of things both good and bad in our lives. There are times when as a creative person you hit the bottom of the well, empty on inspiration. Your creativity can be zapped by too much time online, stress, not sleeping well or eating right, over-scheduling and just sometimes the winter blues. So what's the cure? You need to fill the well back up with inspiration. 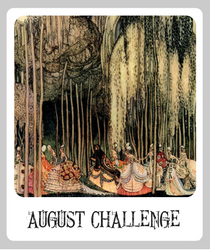 Heading to Pinterest might be your first inclination and that is a good place to start but I would like to recommend unplugging and taking yourself on a weekly artist date to tap into the inspiration all around us. What is an artist date? It's a concept from Julie Cameron's classic book, the Artist's Way. "Artist Dates are assigned play. 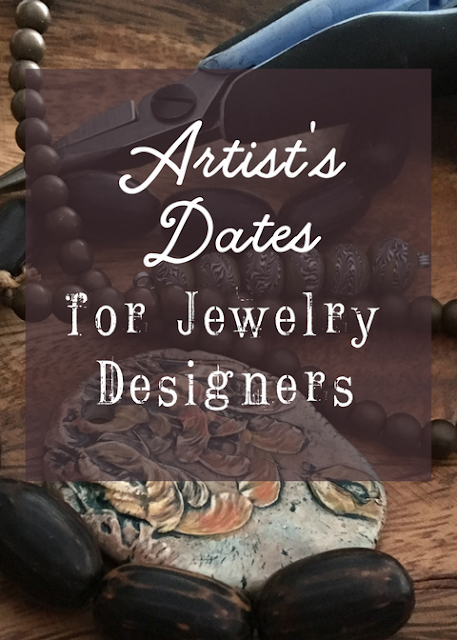 Here are 10 artist dates for jewelry designers. 1. 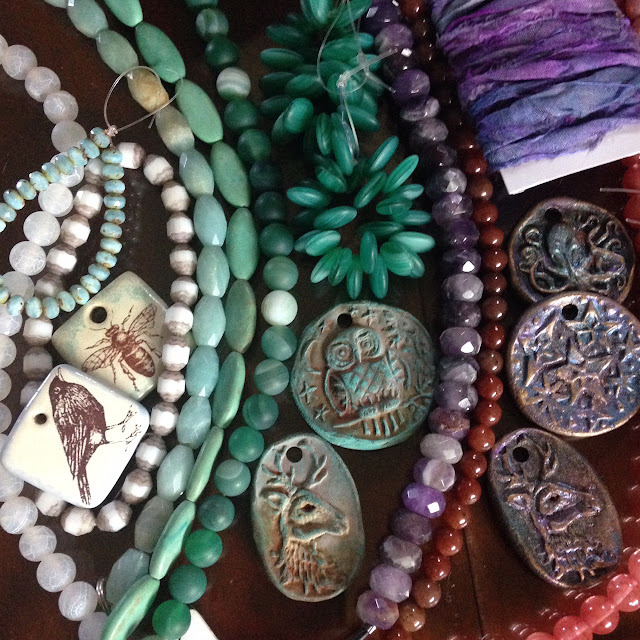 Go bead shopping, make a plan and head to your local bead shop. Even if it's a drive, my closest bead shop is 2 hours away. Head to a craft store if you don't have access to a bead shop. You don't need to spend a small fortune. Pick what you need to finish one project and go home and use those beads immediately. 2. Go to an antique/vintage shop. Study the jewelry in the shop: anything interesting about the construction, colors or beads used in these pieces from the past? What motifs were popular through the last few decades. Look around the shop for interesting finds that could be make into jewelry like buttons, keys, a vintage tin that can be transformed into components. Think outside the box. 3. Head to museum. If you are lucky enough to live in a metro area head to a museum that has decorative arts for maximum inspiration or a history museum where you can see how humans used jewelry through the ages. Check out an art museum for fun color palette ideas or go through the museum and notice how jewelry is portrayed in the paintings. 4. Visit a botanical center or nursery. Flowers and plants can heal a winter-weary soul. Take lots of photos. 5. Go for a nature walk. Head to a trail and notice the understated beauty of nature during the winter or if you are somewhere lush and green enjoy the foliage and sound of birds. Soak in the textures you see, notice patterns in nature. Think of how that could translate in jewelry. 6. Head to a small boutique. Make a note of the colors and patterns in the shop. What jewelry is the shop carrying? Notice any trends? 7. Visit your local art scene. Go to a studio open house, gallery exhibition, gallery hop, local art center. Soak in what artists in your area are creating. Sometimes it's nice to see regular people living out their creative dreams. And being surrounded by colorful art is always inspiring. 8. Take a class. Take a class locally, doesn't matter if it's a cooking class, a jewelry class, painting on ceramic plates, a dance class. Tap into a different part of your creativity and learn something new. Who knows what this will spark. 9. Go to the library. Spend a few hours pouring over jewelry from ancient history. Check out some jewelry or craft books that look promising and commit to going home to try a project. I recommend going to the library rather than looking online because it gets you out of the house, libraries themselves can be inspiring and while you are there check out the community events board to see what else is happening in your area. 10. People watch. Head to a busy coffee shop or restaurant and spend some time observing humanity. We are infinitely interesting after all, I recommend keeping your phone put away, don't go online. Stay in the moment, order something delicious and enjoy it. Bring along a notebook or sketchbook to help avoid looking at your phone and it gives you an excuse to linger after your meal! This will also give you a chance to write, sketch or make a list of what you observe that could relate to jewelry. Want more ideas: Here are 101! Be sure to pick ones that get you out of the house and offline to start! Great suggestions Heather! Thank you! I love these ideas! I haven't done many of these specifically to recharge my creative spirit, but I'm sure it worked anyway! A nearby, jewelry making friend and I try to schedule regular play dates with each other... we take turns hosting and sometimes each work on our own projects while catching up with one another or sometimes one teaches the other something new. It's tons of fun and a great way to keep from being in a vacuum all the time while still getting creative work done! Thanks for this great post! And the link. I'm going to keep this close and get creative. What a useful post! I'm really interested in the creative process and in "how to fire up artistic ideas". I often find my ispiration on Pinterest and generally online (this is the easy way), but you're right: we should definitely push ourselves to catch creativity from what we have around us, in the "real world". I sometimes observe people and I will surely follow your suggestions about head to a museum and go to a botanical center (flowers suggest good color palettes). Thanks for sharing these great advices!